“Time and Teacher waits for no one” this idiom stands true for all those who have taken admission in MBA programme. 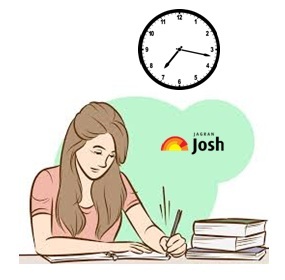 The word DEADLINE always surrounds management students as they are occupied with multiple assignments and presentations. Completing an ‘A-grade’ MBA assignment which lands you up with wonderful CGPA in the end is indeed a time-consuming task. But as a future manager, you need to manage this task in time as well. Your professor will not only test the quality of the work produced by you but will also test your skills of managing the deadlines under pressure. When you step-down in the corporate world; the path to success arrive only after you are able to be effectively manage both ‘people’ and ‘time’. But for writing assignment, you only need to master the art of time management first. In order to complete your work on the deadline assigned by your professor, line up the tasks at hand in the order of the submission deadline. Your priority setting skills must help you in managing the homework of all the subjects. You can make use of ‘sticky note’ to constantly remind you about the time available with you for completing the tasks in-hand. Make sure that you do not deviate from the time that has been allotted for completing tasks. An example has been shown below so that you can also prioritise your work and wind up everything successfully. After completing all the tasks you will certainly get a sense of accomplishment while taking off all the sticky notes from the pin board. Another great way of prioritising the tasks is using ‘calendar’. It can also help you to study in blocks and devote time to different subjects. 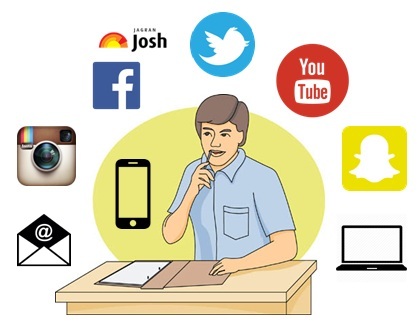 With technology as your friend in 21st century, you can make use of your computer or mobile calendar to schedule your tasks. They will also remind you to complete the tasks within the deadline. But remember, while you set the priority for the work, do not procrastinate. Once you start procrastinating, the work gets delayed. Whatever may be the task, stick to your calendar or sticky notes. Body clock is your biological clock that rules your levels of sleepiness and alertness throughout the day. So find out the rhythm of your body clock and figure out the time when you are most productive. An MBA Assignment can only be accomplished within the deadline if you begin the work when you’re in full swing. You might be highly productive in the evening or in the morning. Some others have a habit of doing the work in late night hours. So pick your right time zone and set on the mission to complete the MBA Assignment for submission. It will be convenient for you to explore the best time for involving in research work, writing the assignment and thereafter formatting it. Schedule the work accordingly and don’t ignore your body clock as ignorance can make you feel fatigued quickly. 3. Stop multitasking. It kills FOCUS! 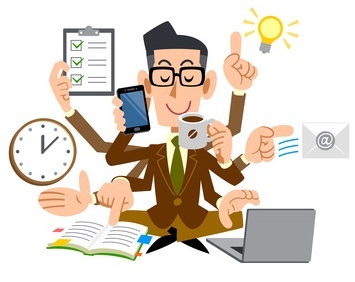 Multitasking is considered as a good quality many-a-times. But studies reveal that only about 2 percent of us can handle two or more tasks efficiently. For other 98 percent, multitasking is a negative habit which kills productivity. The rationale behind the same is that we process one conscious thought at a time. While trying to do more at once, our thoughts oscillate back and forth between the tasks thereby reduce our performance level. Hence, if you're spending your day multitasking, you're actually exhausting your brain. You can avoid multi-tasking only by prioritising your work smartly. Doing one task at a time helps you fall in a mental state is called ‘FLOW’. In this state you get completely immersed and involved in an activity and feel energized and motivated. This flow is the reason that you become super-productive in short time-span. We recommend that you develop your skills and set clear goals to focus completely on one task at hand. The best way to collate material for your subject assignment is to write down class notes. The concerned faculty usually gives you assignment on the basis of the concepts that are taught in the class. If you develop a good habit of noting down the classroom lectures and examples then consider your assignment halfway done. It is also important to write notes because you attend too many lectures in a day. There might be some important points that could skip your mind. So do not assume that you'll remember everything concept that has been taught in the class. When you sit to write the assignment, these notes will work wonders as a base document on which you can build the whole story. It is essential that you close every means of distraction from your life if you wish to accomplish the MBA Assignment within the deadline. The first and foremost pestering tool is your very near and dear ‘Mobile Phone’. It not only acts as your saviour but also acts as savage for your assignment when notifications pop-up constantly. When it is time to work on the assignment, it is preferable to turn off your phone’s ringtones and put it aside. Use a wall clock or wrist watch to keep track of time and allow yourself to check your phone only once per hour. Stay away from Social media tools such as Facebook, Messenger, Youtube or else you will lose track of precious time allotted for completing MBA Assignment. If necessary, take breaks after every one or one and half hour to increase your productivity levels. Refresh your brain by studying in blocks. Use the time in between to connect with people for a short while and then again back to work. You can also use this time to munch on the food to regain energy that is consumed in the brainwork. It is mandatory for the B-school graduates to respect their work deadlines. These time management tips will certainly help you complete your MBA Assignments on time and get wonderful scores in your CGPA. In addition, these habits will also help you cherish a progressive and prosperous future in the corporate world. Subscribe with us to regularly receive interesting tips on managing your MBA Life. You can also download our free PDF to obtain easy tips on writing MBA Assignments. All you need to do is click the link provided below and download the EBook.